Thoughts: To be honest, I have yet to read Sarah's debut novel, Twenty Boy Summer. I know, I know, shame on me! But I do have it and plan on reading it. With all the great reviews for that and the great story line, I assumed Fixing Delilah would be a hit. Sadly, it didn't meet up to my expectations. 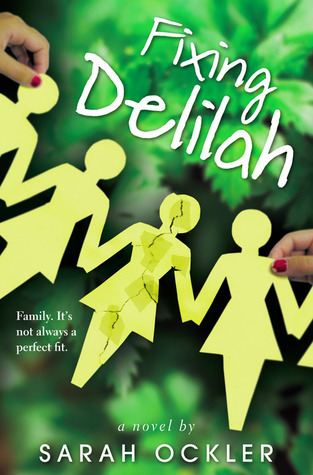 Fixing Delilah focuses on family, mainly the relationship between mothers and daughters. In this case, it focuses on not only Delilah's relationship with her mother, but also her mother's relationship with her grandmother. Throughout the book, you know Delilah's grandmother said something, did something, to Delilah's mother and aunt that kept them away until her grandmother's unfortunate death. When Delilah first arrives at her grandmother's town, she runs into Little Ricky, her old childhood friend she hasn't seen in ages. Only now, Little Ricky goes by Patrick and isn't so little anymore. As their relationship begins to straddle between friends and something more, reality begins to settle in. Delilah can't seem to escape her problems from back home, nor can she help but wonder what happened between her grandmother, mother, aunt or the mystery behind her other aunt (who she was named after)'s death. And to think, she thought this would be a boring trip. One thing I loved about the book was Sarah's writing style. Fixing Delilah was well written and with the mystery behind the Hannaford girls, interesting. 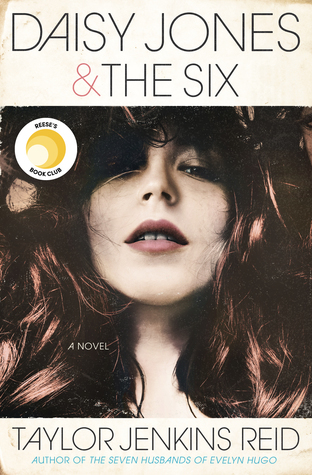 You have to keep in mind that this book is more about family than romance. Yes, of course there's a bit of romance, but if that's what you're mainly looking for, I wouldn't recommend this book. Fixing Delilah is more about the complicated relationships between mothers and daughters. The character I adored the most, though, has to be Patrick. He was sweet and oh so kind to Delilah. From the very beginning, you could feel the chemistry between the two. Even when Delilah tried to push him away, he was still there. Gotta love a loyal guy! Plus, his songs? So sweet! The only issue I did have with the book is the pacing. I felt like the story dragged on and on. While there were interesting moments, the story overall lacked that certain zsa zsa zu. The mystery behind the Hannafords kept me reading, but even so, I can't help but show my disappointment. I guess I was hoping for some thing more. And though this wasn't one of my favorite reads, I would still recommend this to mothers and daughters who have ever had issues with each other. Believe me, you think you have problems? Wait till you read Fixing Delilah. Thanks for the review! I own this one and I'm hoping to read it soon. Too bad you didn't like it that much. Reading this one right now and loving it. I love books that focus on family. Hoàng Quân Cho thuê xe 16 chỗ và thuê xe 7 chỗ tại Hà Nội uy tín, giá rẻ nhất.